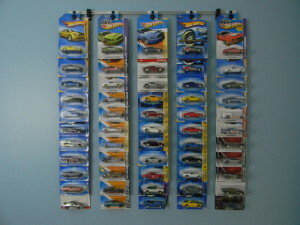 Look closely at what Collectible Hangers can do for you. 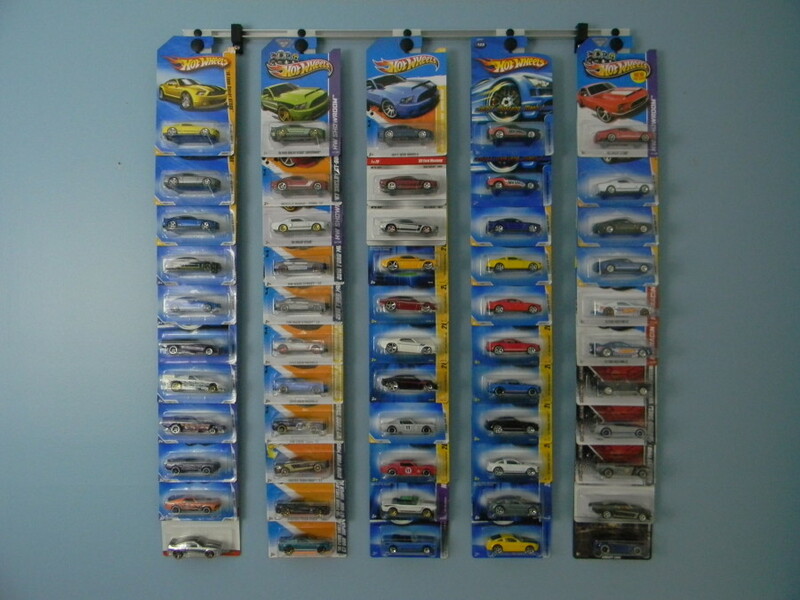 Display your Hot Wh eels & Matchbox Diescast Protectors, along with Johnny Lightning, Jada, Greenlight, M2 Machines, Winners Circle, Maisto diecast and more on the same hanging diecast display system. You choose, mix and match, change when you like. All with the same display including those in diecast protectors! Today’s cards come in multiple sizes and the cars are inside the plastic shell (or ‘Blister’) on the card which also vary in size. 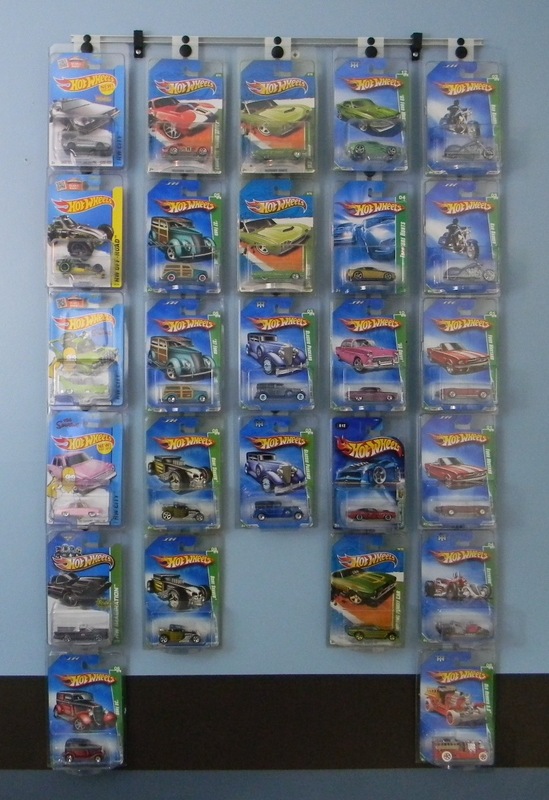 In other words, the cards are the same size, but the plastic shell holding the car on the card is not always uniform in shape or size, and most importantly is the height. (We talk further about this on the website an d give more examples. see more shapes and sizes). 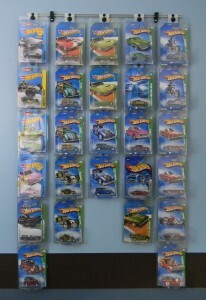 You can finally display your special vehicles in diecast protectors with Collectible Hangers.